How to Import Recipients From a File? You can import your past recipients using a file in a format of CSV or XLS. You can import your recipients using a file in a format of CSV or XLS . 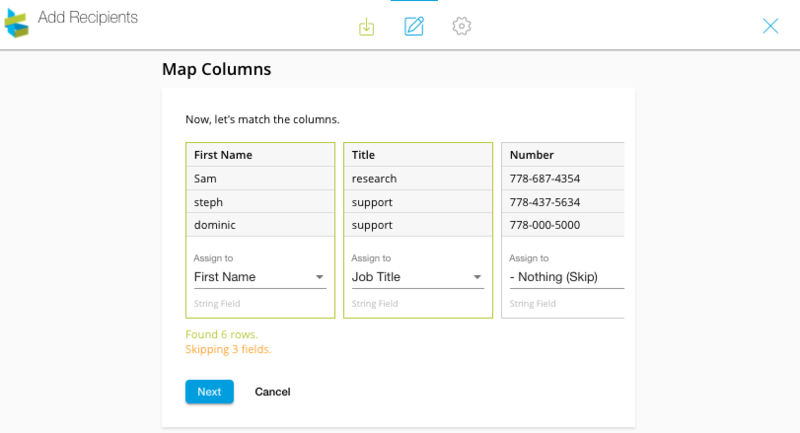 Step 2: You will be prompted to a Map Columns page where you set up the parameters of the columns. i.e. If a column contains the First Name, select 'First Name' from the drop down menu. It is usually automated when we recognize your Column headers. After mapping the column names, click on Next. 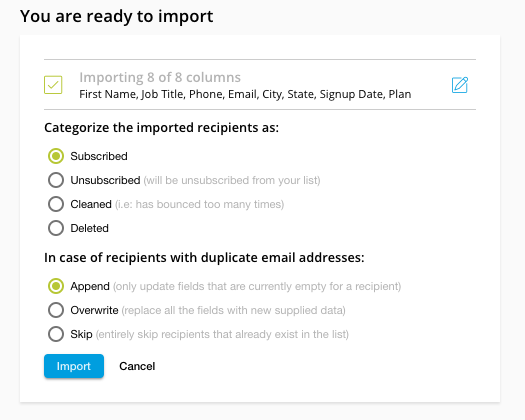 Step 3: On the next page, you will choose as to what the category of the imported recipients are and select what you want to do with duplicate email addresses. Click on Import and your recipients will be imported. Top Tips: Make your Column Heading Name such as 'First Name', 'Last Name', 'Email', 'Phone' so that Approach can automatically detect these in the Map Columns section.